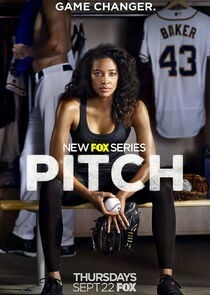 Pitch is a new baseball drama series about a young pitcher who becomes the first woman to play in in the Major Leagues. The series airs on Global in Canada. As with many other shows on Global, past episodes can be watched for free on Globaltv.com for 7 days after broadcast. If you missed an episode, the season pass for Pitch, Season 1 can be purchased from iTunes.